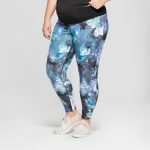 Target's Ingrid & Isabel Collection Lanches Plus Size Maternity Options! Have you been looking for the cutest plus size maternity options? Target bring style to the plus size mom-to-be with the Isabel Maternity by Ingrid & Isabel. Are you a plus size expecting mom and trying to find the perfect items to to wear while you’re expecting. Finding clothes as a plus size woman is already a challenge, but finding clothes while you’re plus size and pregnant can be even more daunting task however things are changing especially over at Target with their newest release of plus size maternity Isabel Maternity by Ingrid & Isabel, which now goes into extended sizes up through a 4X! Not only does this collection go into extended sizes, but it also includes plus size maternity active wear! How about that! Have you ever heard of this before? This is sooooo exciting! This new collection launched a year ago, but their newest collection now includes plus sizes in both ready to wear and active wear! And there are some really cute pieces in there that you will love, that you would feel comfortable enough to wear, even after you deliver your bundle of joy! You Need These Plus Size Maternity Finds at Target! I mean did you see that? Did you see what we were talking about how cute are these pieces are? I mean, the maxi wrap dress, this fun sweater hoodie? There there are quite a few pieces, affordable pieces, very cute pieces that are really making us take another look at what Target is up to! And each piece is under $40! Now, I will add, the plus options are available online only… I know. I know! I’m here for this competition… These brands and retailers are coming hard after the plus size woman’s pocketbook and we are reaping the benefits of having some pretty cool new options. Now, if we could only get more plus size pregnancy options and in store options, we would be golden! But as we do, make sure you check our list of our plus size designers and retailers! We will be updating all the plus size pregnancy places, there! Sooooo, did you find something that you like? Did you see something that piqued your interest? Have you already shopped the collection? Let us know in the comments and give us your feedback! oh GOD BLESS it is about. damn. time.